Rolls Royce has a rich heritage of automotive excellence dating back to the companys founding in 1906. Its emblem is called the Spirit of Ecstasy, which perfectly describes what it tries to achieve when delivering a superior driving experience to its customers. The Corniche line is a two-door model that was first released in the 1971 model year, and it spanned to the 1995 model year. All five of the variations to the Corniche over the years were available in a coupe or convertible style. The engine was placed in the front of the vehicle under an elongated hood, and all model years provided space for five passengers in two rows of seats. 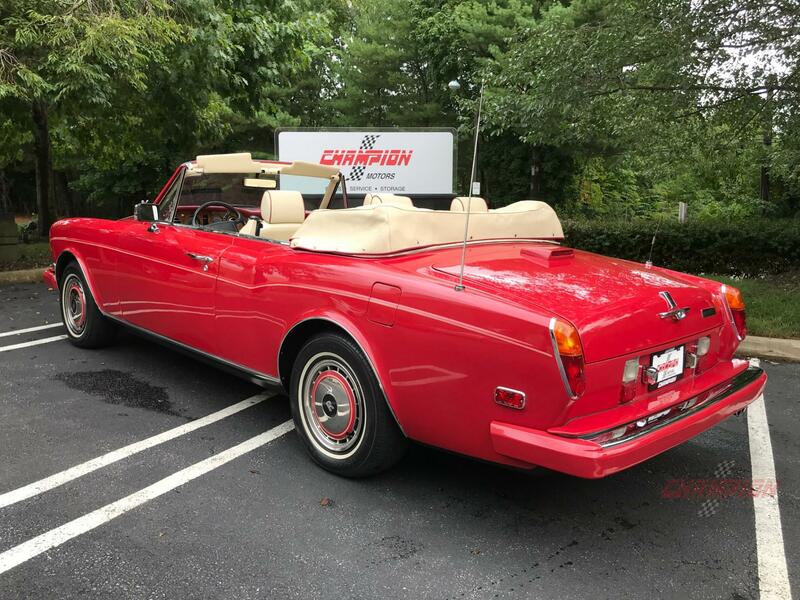 The 1994 Rolls Royce Corniche is one of the more desirable versions of this model, and Champion Motors International serving New York New Jersey is your leading source for all pre-owned Rolls Royce models as well as for other classic and luxury models from various automakers. 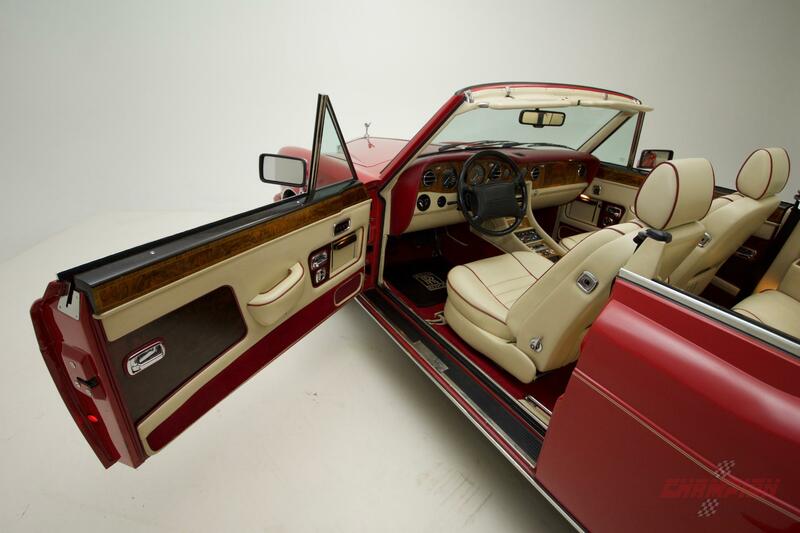 When you spend time learning more about the 1994 Rolls Royce Corniche in New York, you will immediately notice that this hand-built luxury car has an undeniably appealing look that will catch the eye of bystanders as you cruise through town. If you choose to purchase this used Rolls Royce, you can choose from several original exterior color options. Regardless of the exterior color that you select, your vehicle will have a stunning front end design that is characterized by a chrome grille with vertical bars and a chrome bumper. The two circular headlights on each side of the grille also have a chrome accent, and the Rolls Royce logo stands prominently at the front of the hood at the apex of the grille. The hood has multiple distinctions, including a peak along the mid-ridgeline that spans down to the hood ornament. There are also rounded peaks along the sides of the hood down to the top of the headlights. Along the side profile, a notable contour line spans from the front to the rear. 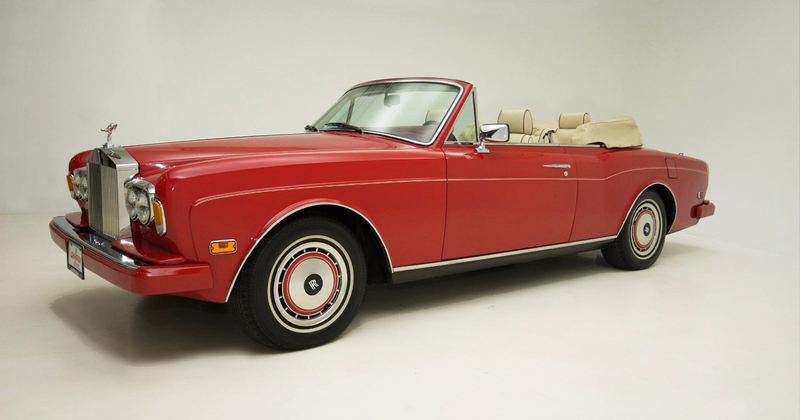 Altogether, you will find that this used Rolls Royce has undeniable appeal. 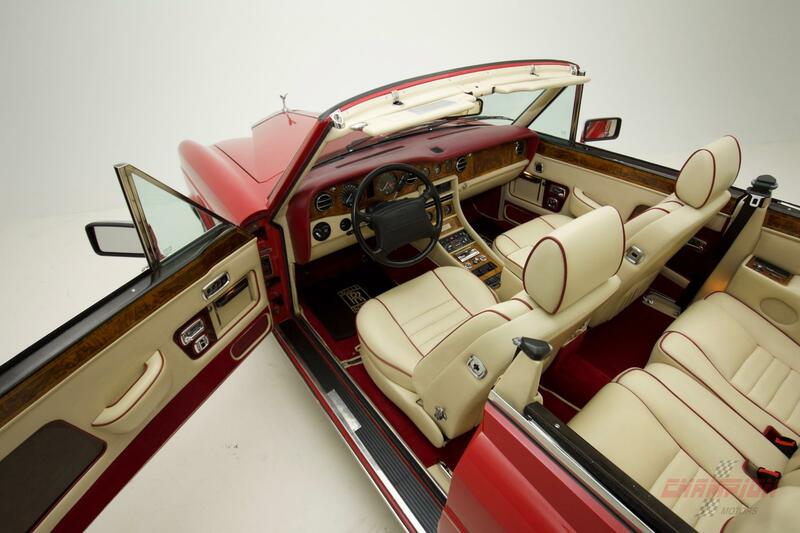 Because the 1994 Rolls Royce Corniche is produced by hand in Crewe, it has refined luxury throughout the entire interior. This is an older vehicle that has classic appeal, but it also has many modern comforts that are designed to pamper you as you cruise down the road. Leather seating is available in a couple of colors, and it provides the ideal blend of plushness and comfort. The interior design is also marked by real wood trim, chrome accents, a classic faade for the instrumentation panel, adjustable front seats, and excellent sound system, climate control, interior lighting and more. A great idea is to visit with our sales team at Champion Motors International serving New York New Jersey to admire the interior design and features in person. 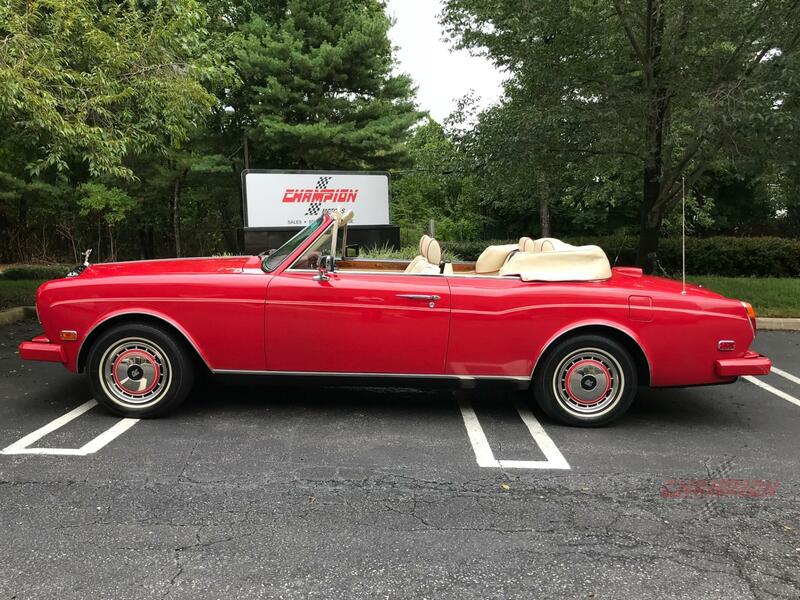 When you stop by our dealership serving New York New Jersey, you will notice that the 1994 Rolls Royce Corniche is available with two variations of the same engine. These are the 6.75-liter L410I OHV V8 engine and the 6.75-liter L410IT turbo OHV V8. These are both powerful engines that can easily handle the incredible weight of this custom-built vehicle. It also comes with a four-speed auto transmission and an enhanced suspension system for improved performance. While some older classic cars have minimal safety features, this is not the case with the 1994 Rolls Royce Corniche in New York. It notably has responsive airbags for the driver and the front passenger, and there is also a glass rear window rather than a plastic window that was standard in the previous version of this vehicle. Some of the other excellent safety features include adjustable front seat headrests, exceptional braking capabilities, a steering column with energy absorption capabilities, a sturdy body frame and other features. This is a used Rolls Royce that is designed to keep you and your passengers safe on the road. Drivers who demand excellence in a classic luxury car will want to take a closer look at the 1994 Rolls Royce Corniche in New York. With its incredible detailing throughout and with its undeniable performance capabilities, a test drive is an excellent idea. Champion Motors International provides you with convenient access to many luxury brands, including Rolls Royce. If you are ready to learn more about our inventory, call our office to make an appointment today.